Great album, great band, great Mick Taylor as always. Seriously, there is a lot of sadness and wistfulness to GHS. Even in songs like 100 Years Ago, Heartbreaker and Can You Hear The Music. Add the ballads (Angie, Coming Down Again and Winter) + the blues (Hide Your Love) and there's not really a party going on here. Star Star kinda tries to wake us up in the end there, but it's too late. The after party died down. That said, and in retrospect, I think the Stones needed to put out a record like that (after Exile), and I've learned to appreciate the mood(s) of GHS a lot more through the years. There are parties and funerals in life. Both can be very emotional. They were all miserable until the groupies turned up. Before or after the release of GHS ? 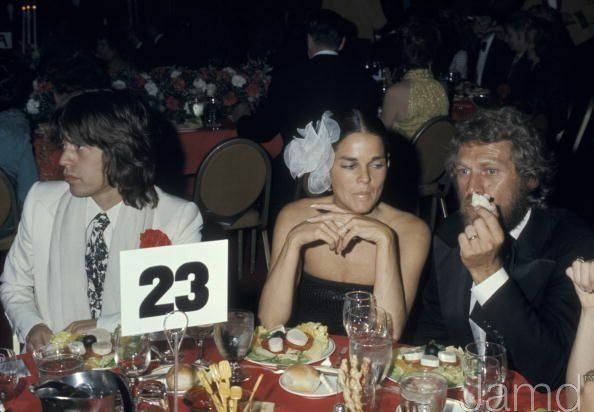 American Film Institute Tribute to James Cagney, Century Plaza Hotel, Los Angeles, 1974. Edited 1 time(s). Last edit at 2019-01-24 13:05 by exilestones. Yes, DP, for sure, I love 100 Years Ago and Coming Down Again. It's the ballads that are the really strong tracks on GHS, imo. Angie and Coming Down Again in particular. Excellent songs. I don’t care for’Angie’ never have. Except when I heard it live in Nanterre France. There, I was wowed by the execution. Otherwise, no. ‘Dancing with Mr D’ incredible live, never listen to recorded track. ‘100 years’ is dated and depressing. ‘Heartbreaker’ Yes, it is very good. 100 Years is dated? How the hell is it dated? That makes zero sense. It sounds ‘folk-sy’ to me. Inauthentic. Depressing. Better? I don’t like it. After Exile, the glimmer boys put out a different sounding record with Goats Head Soup. The Album is dominated by crafty ballads, the theme of the album. '100 Years Ago', a mystical type of feel has Jagger singing from his heart and Mick Taylor's blistering wah wah guitar kicks the song into another gear. Keith's 'Coming Down Again', dives into his personal issues with drugs and his singing is great. One of Keith's best moments singing on record. 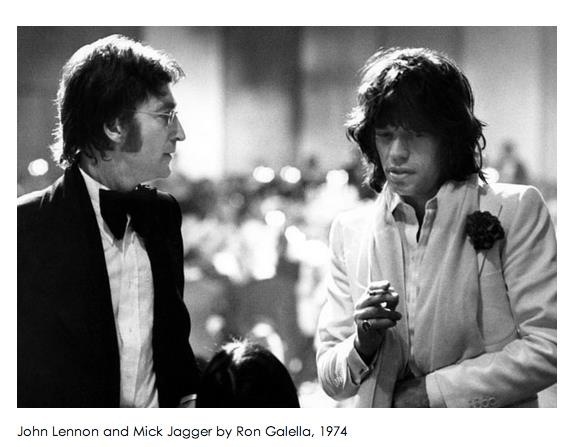 'Angie', the classic rock ballad has Jagger singing great with fantastic lyrics played against Keith's acoustic guitar. 'Winter is a Jagger/Taylor song which has great lyrics and vocals by Jagger. 'Winter' is a treasure and has Jagger playing guitar against Taylor's brilliant solo and is one of the finest moments on any Stones record. Mick Taylor should of received some song credit. 'Star Star' is a rocker and has Taylor and Richards interplaying against each other. 'Dancing With Mr. D', is the second coming of 'Sympathy For the Devil', but a weaker effort. 'Silver Train', has Keith's driving rhythm and Taylor laying down his signature ringing slide which is awesome. 'Hide Your Love', and 'Can't You Hear The Music', are different and add to the diversity of the album. 'Heartbreaker', has the signature sound of the Stones with Keith's driving rhythm and MT pLaying that wonderful solo.GHS grows on you over the years and is truly one of my top five Stones records. 100 Years Ago and Heartbreaker have always been my favorite tracks on the album, with Coming Down Again, Hide Your Love, and yes even Angie being the the next batch of favorites. Dancing with Mr. D is good musically but lyrically corny, while Winter and Can You Hear the Music are are decent moody tunes (though I have to be in the mood to enjoy them). Silver Train and Star Star...hmmm...mixed feelings about both...never related to the high praise as they're slightly derivative and lazy efforts imo - but that's not to say they're bad. From 2:35 to the end of the song "100 Years Ago" is one of my favorite stretch of minutes in all the Stones recorded hours. Just killer. The sax break near the end of "Coming Down Again", likewise. "Winter" is one of my favorite Stones ballads. "Winter", "100 Years Ago" and "Coming Down Again" are definitely my 3 favs on the album. I like "Heartbreaker", "Starf**ker", "Angie" and "Hide Your Love" but I rarely play them. "Silver Train", "Can You Hear The Music" and "Dancing With Mr. D" come off as auto-pilot filler tracks to me, but of course they sound pretty good just the same. Overall I love the moody chill-out vibe of GHS. Edited 3 time(s). Last edit at 2019-01-23 22:54 by floodonthepage. Silver train is the only song on the album i dont like..
A bit too easy..like 24 in a dozen. Winter and Coming Down Again should be played live. 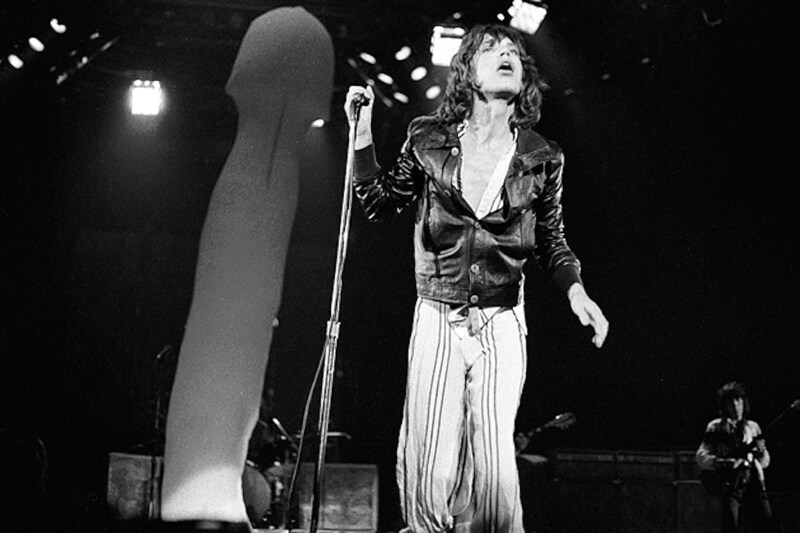 I think Jagger goes all out on Dancing With Mr. D. The execution (pardon the pun) is perfect on that song, it seems some people just don’t like the lyrics. To me it’s a swampy voodoo acid trip and I love it. I love the alternate take and the live versions as well. Whatever that effect is on Taylor’s guitar gives it an eerie feeling. Could have been a pedal at the studio, it sounds like a phaser maybe? Any thoughts? As far as I know Keith is only playing bass on Silver Train and Heartbreaker. I know timeisonourside credits Keith on guitar on those tracks, but I can't hear him at all. On Heartbreaker I only hear one guitar - Taylor's. On Silver Train I'm pretty sure Jagger is playing the quite rudimentary open G-guitar. And let's not forget Taylor's 12 string acoustic guitar on Angie. It adds a lot to the soundscape. Maybe it's the mix, but GHS ranks as my least favorite Stones album of the 70's. It certainly is a come down album, the band trying to catch their breath and losing themselves at the same time. It would be wonderful to get a mid 70's deluxe box set for GHS thru B&B. I know timeisonourside credits Keith on guitar on those tracks, but I can't hear him at all. On Heartbreaker I only hear one guitar - Taylor's. Preston on the left channel, and Keith on the right channel. He's playing a bit similar like he does it on the '73 Brussels version,- at least the fills during the verses if I'm not mistaken. Taylor does the noodling. Edited 1 time(s). Last edit at 2019-01-24 17:10 by TheflyingDutchman. Keith has been quoted talking about how it took him 4 days to get the bass line right on Heartbreaker, which says a lot about his state of... mind at the time. There can be excellent Thai restaurants in Iowa. Where was it ‘labeled’ as anything? I would prefer to listen to B&B album or IORR album over GHS album. ‘100 years’ doesn't move me. Jumpin' Jack Flash is country-ish, too. No, Taylor plays the Em7/Em/Am-licks during the verses. It's the same guitar track. Edited 2 time(s). Last edit at 2019-01-24 23:11 by retired_dog. Yes retired_dog, that's a mighty fine cover version. And then at the end, can't help imaging the Stones' version and how it swithces gears and takes off to another planet - some amazing rock and roll I'd say!